Who could possibly resist the adorable expressions of cute kittens? Nobody. They can easily create a positive vibe wherever they are. Small size may be one main thing you like about kittens. The happy news is there are some breeds that remain small throughout their life. Here the list of 10 smallest cat breeds in the world. Recognized by the pretty, small folded ears Scottish fold is one of the beautiful cats in the world. In size, an adult male of this breed weighs between 9 – 13 lbs and a female up to 9 lbs. 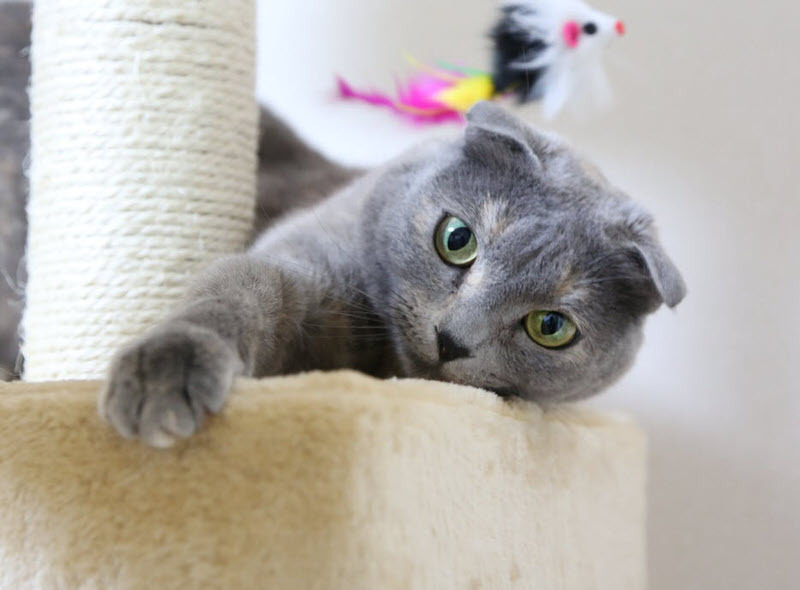 Generally, Scottish Fold has a rounded look – the folded ears give perfect rounded shape to their face. 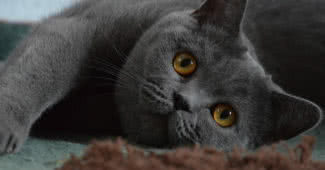 Not just the face, the eyes of Scottish folds are also rounded in shape. Their neck and nose are short. Legs measure short to medium. The coat of Scottish folds is either short or long that comes in any color or combination. The medium-sized sphynx cat is famous for its lack of coat. Their muscular body weigh between 6 and 12 lbs. Despite the size, this breed has large ears and large eyes. Their head is wedge shaped and has the broad chest and medium lengthed neck. The paws are thick and the tail is long. 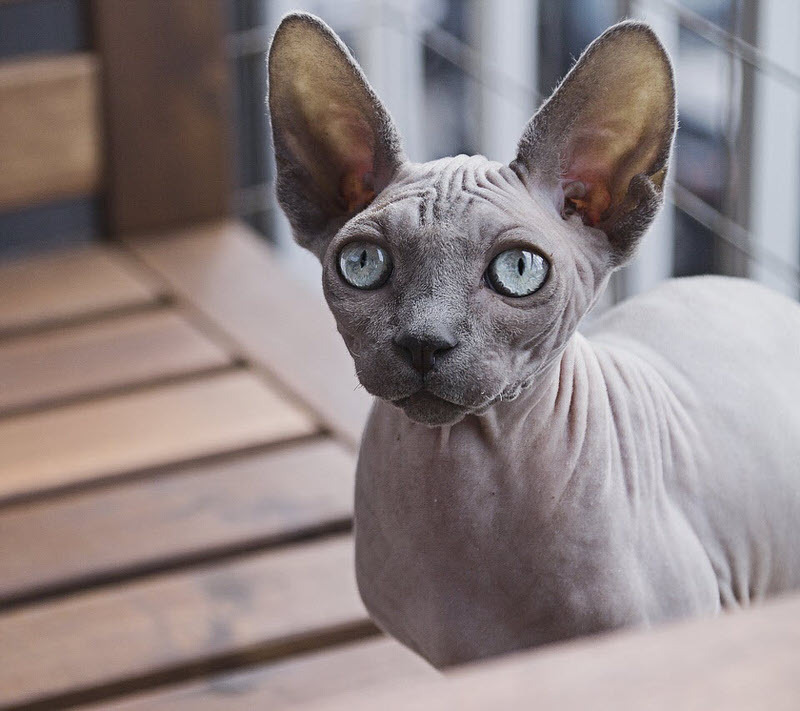 Actually, sphynx cats are not hairless. This breed is covered with fine down. It is really hard to see them with your eyes. The loose skin also shows some wrinkles on their body. The skin of sphynx cat can be seen in different colors and patterns, that includes white, black, chocolate, lavender, tortoiseshells and tabbies. 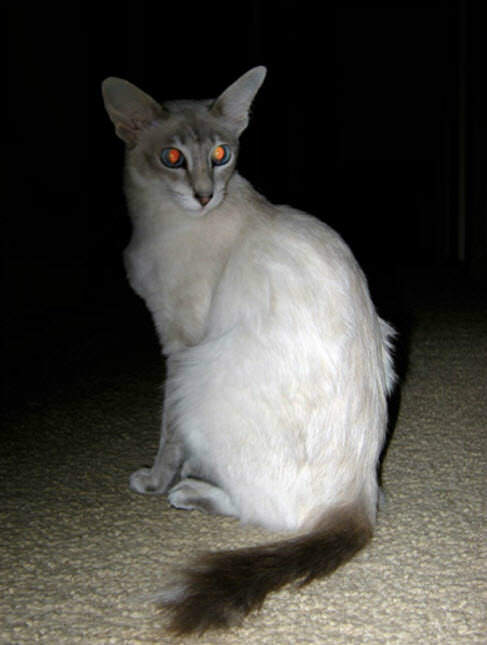 Related to Siamese family, oriental shorthair is an active cat breed. They have a long body which measures only up to 10 lbs in weight. Despite the size, the body of oriental shorthairs is nicely muscled. Their legs are long and slim, ears are large, the nose is straight and the tail is long. The beautiful almond-shaped eyes come in blue or green color. 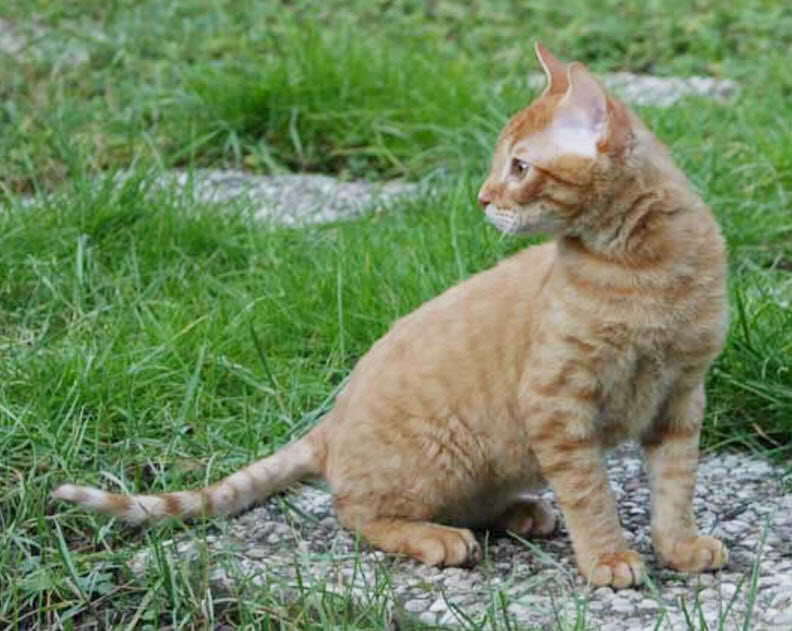 The medium length coat of Oriental shorthairs comes in more than 300 colors and patterns. Oriental can be a great companion for you. They are very entertaining and love to involve in different activities. They are sensitive and demands attention from you. The stunning American curl is known for its unique backward curl ears. Even though small in size, American curl is a well muscled breed. A fully grown cat of this breed weigh between 7 and 10 lbs. The smooth, silky coat of American curl comes in either or long with no undercoat. Color of the cost mainly includes white, blue, black, red, chocolate, lilac and golden. In addition to all these, American curl is a lovable, family-oriented, playful cat. Javanese is a medium – sized, long haired cat with a muscular body. This slender cat weighs between 5 – 20 lbs. Javanese cats have a long body, long tail, long nose and long legs. The head of Javanese cats is wedge shaped. Eyes are probably the most attractive feature of this breed. The beautiful almond-shaped eyes come in deep blue color. The long, silky hair of Javanese cats comes in red, cream, seal, chocolate, blue and lilac. Devon rex is a small, wonderful family cat with a unique look. This breed is called as pixie-ish or alien because of their large ears and eyes. On checking the physical characteristics, devon rex has a slender body which won’t weigh more than 10 lbs. Their large, deep eyes are so striking, has high cheekbones and long legs. 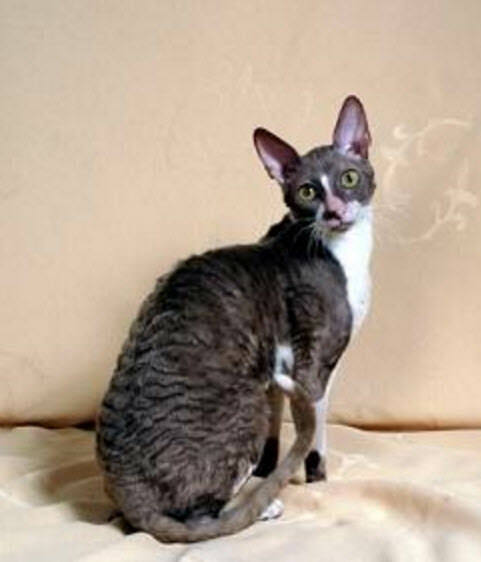 Cornish rex is a small cat with short, fine coat. Their body is slim but muscled. This breed weighs not more than 9 lbs. 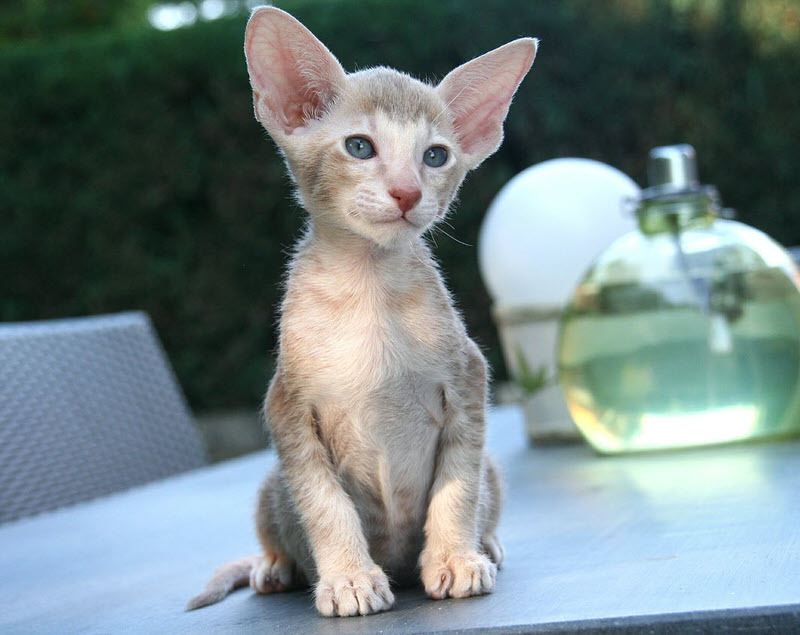 The eye-catching feature of cornish rex is its egg-shaped head and large wide-open ears. Both tail and legs of this breed are long. 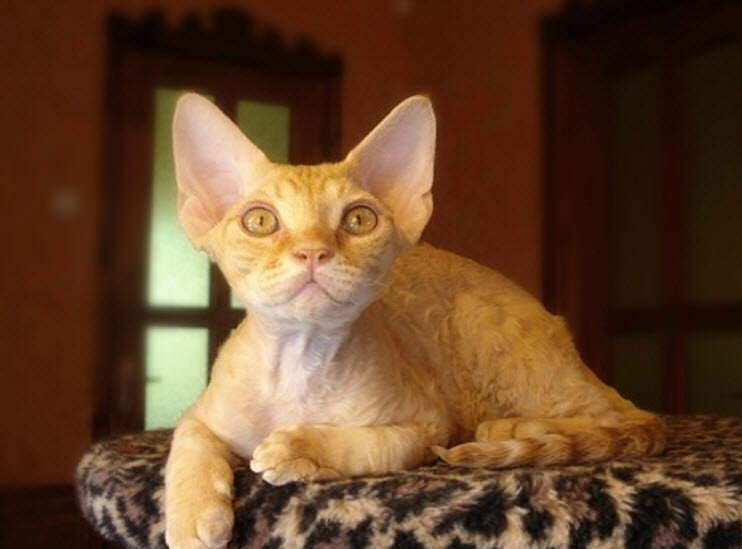 Cornish rex is a very intelligent, family-oriented and smart cat. They learn tricks quickly and love to play with toys. Cornix rex also shows kitten-like nature even in old ages. 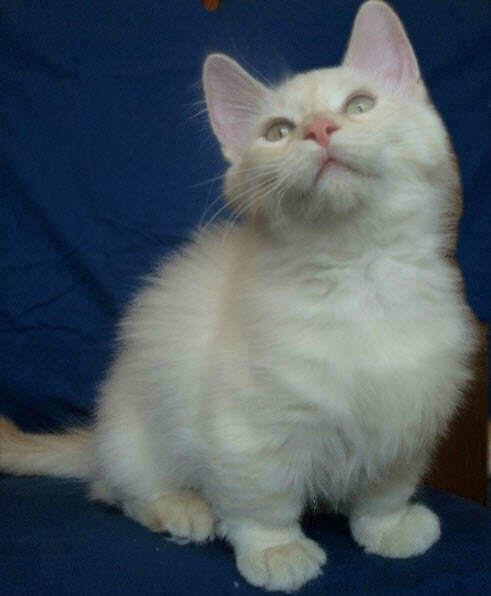 The most distinguishing feature of munchkin breed is its short, little legs. It is caused by the mutation. Apart from this, it’s a small to medium sized breed with a maximum weight of 9 lbs. They have a broad head, high cheekbones, and medium-sized ears. The walnut-shaped eyes of munchkins are so attractive. Munchkins can be found in both short haired and long haired varieties. Their beautiful coat comes in all colors and patterns. Even though the legs are short, munchkins are so agile. They love to play with toys. They can get along well with children and other cats. German rex is a small to medium sized cat with a unique look. When matured, they would weigh around 6 – 8 lbs. But their body is quite muscular. The rounded face with large, open ears gives German rexs an attractive look. Their legs are long and slender and the tail is medium in length. The beautiful coat of German rex comes in a variety of colors including white, cream, red, cinnamon, platinum, frost and seal. In personality, German rex is very friendly, affectionate and loyal. They are very playful and need a lot of space. They can also get along well with children. Singapura is smallest of all domestic cats in the world. This tiny breed only weighs between 4 and 7 lbs. Singapura may be the smallest breed but their body is muscular. In addition, this breed has a lot of energy. They love leaping and remain playful even in adulthood. 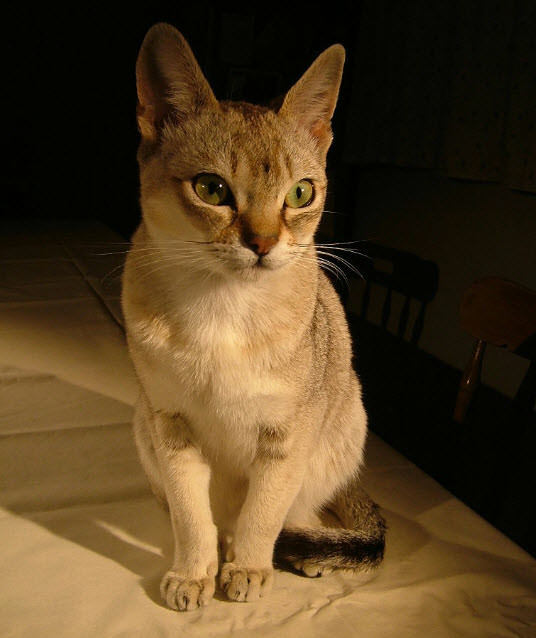 The most noticeable features of Singapura breed is their big ears and big eyes. Their neck is short and thick. The tail is also short with a black tip. 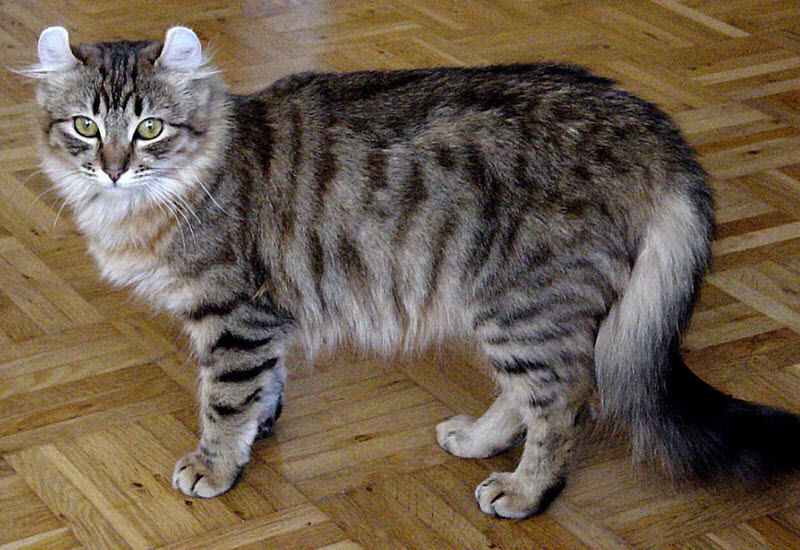 The short coat of this breed has a tabby pattern. In personality, Singapura is a curious, active breed. They love to play with toys. This breed can also get along well with other cats.